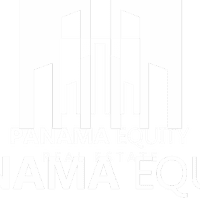 El Cangrejo Area: 5 Properties on the Market Right Now! One of my favorite things about Panama City is the diversity of neighborhoods you can find here. From the Old World charm of Casco Viejo to the luxury homes of Punta Pacifica, each zone of the city has its own feel. One neighborhood that we can’t get enough of is El Cangrejo. Bordered by Villa Espana to the south and Transistmica to the north, El Cangrejo offers equal parts of local charm and creative innovation. If we had to describe it in one word, it would be eclectic. On any given corner you’re likely to find a locally run coffee shop, ethnic restaurant, funky old building, new condominium, or picturesque park. El Cangrejo offers an abundance of local character along with all of the modern amenities and services that make a neighborhood practical. 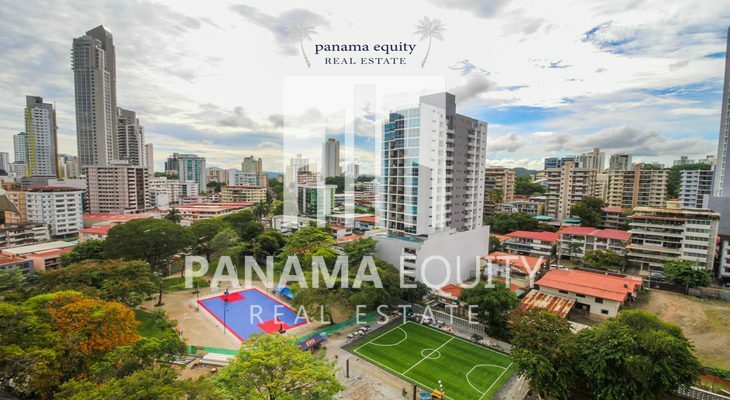 In fact, many consider it to be one of Panama’s best walking neighborhoods due to the abundance of grocery stores, gyms, banks, pharmacies, schools, and restaurants in close proximity. When it comes to real estate, El Cangrejo also offers some of the best deals in the city. Perusing local listings, you’ll likely discover large older condos as well as new, modern living spaces. There are plenty of new developments that have popped up in recent years, as well as older buildings that have gotten facelifts but still maintain their historic charm. There has never been a better time to buy in El Cangrejo. 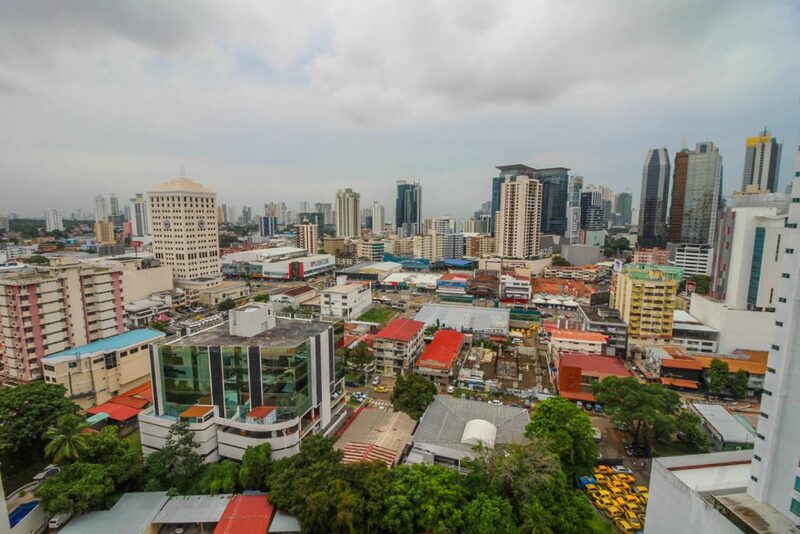 Panama’s government has invested millions of dollars in beautification and revitalization efforts in the area over recent years, making it more appealing than ever. As the neighborhood continues to grow in popularity, we’re expecting to see demand climb for all types of units in the years to come. So if you’re new to Panama City or have been here a while and are looking to settle down, El Cangrejo might just be the perfect area for you. To give you a taste of what’s out there, we’re showcasing a few of our favorite units that are on the market in El Cangrejo right now. You’ll be shocked at the great deals to be had, but don’t wait around! It’s only a matter of time before these deals get snatched up and prices in the area continue their upward climb. 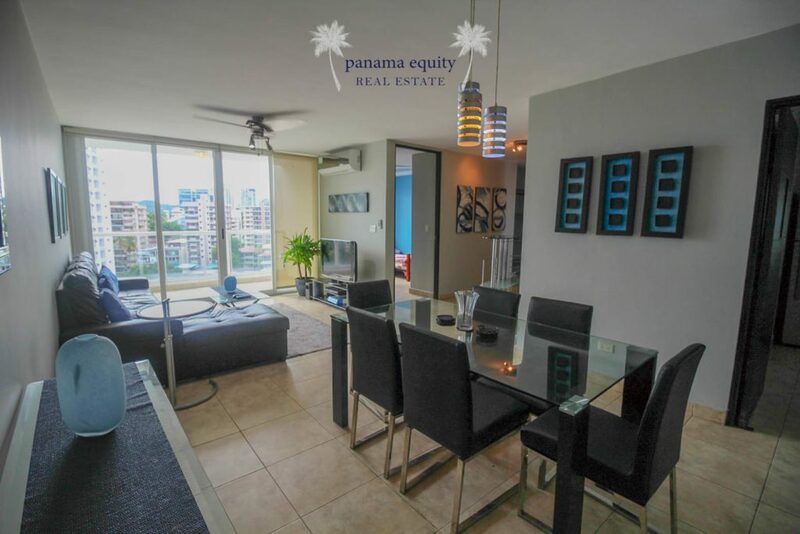 For starters, if you’re new to Panama City and interested in renting, you can’t do much better than this furnished three-bedroom, four-bathroom apartment. Recently renovated, this unit is move-in ready. Since this unit is on the top floor, there is plenty of natural light that floods the open floor plan. The kitchen features granite countertops and offers tons of storage space. All three bedrooms have en-suite bathrooms and spacious closets, making this the perfect home for either roommates or a family. Just a short stroll from plenty of shops, services, and dining establishments, as well as the metro, this is an ideal location in one of the city’s hottest neighborhoods. Given this unit’s location and condition, it might as well be one of the best deals on the market right now. 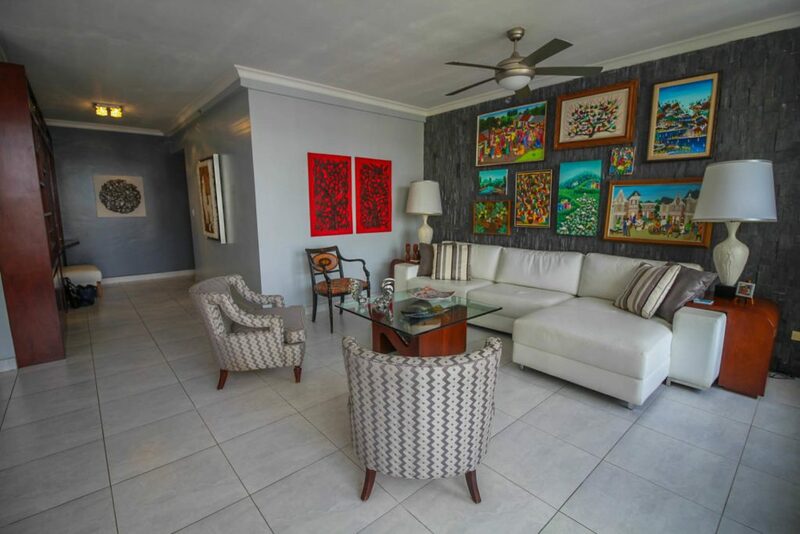 This three-bedroom apartment is located just a few meters from Andres Bello Park in the heart of El Cangrejo. The apartment itself is in great shape and has plenty of modern touches. It features two bedrooms and a den (which could serve as a small third bedroom) as well as a full maid’s quarters, two balconies, a modern kitchen, and an ample common living space. Apart from what the apartment has to offer, the building also includes a gym, kids park, 24-hour security, and a recently renovated pool. This unit is priced to sell! If you crave the clean slate of a brand-new apartment, this two-bedroom gem might just be for you. Never before lived in, this unit offers a great layout with plenty of natural light. The open kitchen and large bedrooms make this home comfortable and practical all at once. You even have your own private balcony that looks over the newly renovated park. The Zaphiro building is a boutique-style tower that is well constructed with plenty of attention to detail. This is the perfect option for those seeking a brand-new home in their new neighborhood. One of our favorite things about El Cangrejo when it comes to real estate is the variety of homes that are available. If you love the idea of El Cangrejo but need a little more space, consider this family apartment. With only two apartments per floor, this building offers units with plenty of privacy and space for you and your loved ones. This large and bright unit features an open floor plan with tons of versatility. Whether you choose to make use of the extra space for a home office, a den, or a playroom is up to you. 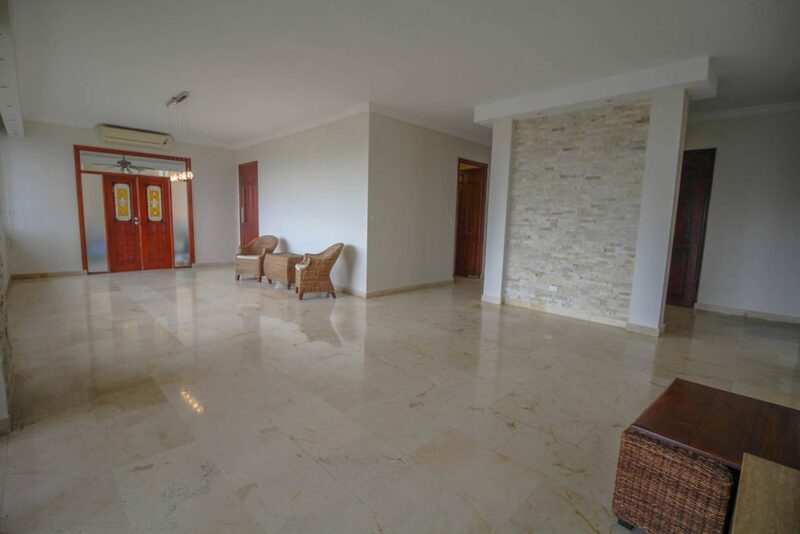 The kitchen is spacious and well equipped, and there is a nice corner balcony with views of the neighborhood. As far as common space goes, a nice pool, barbecue area, and a covered terrace offer a popular spot for families from the building to relax and socialize. Not to mention all of El Cangrejo is right outside your front door. This three-bedroom junior penthouse offers one of our favorite views of El Cangrejo. 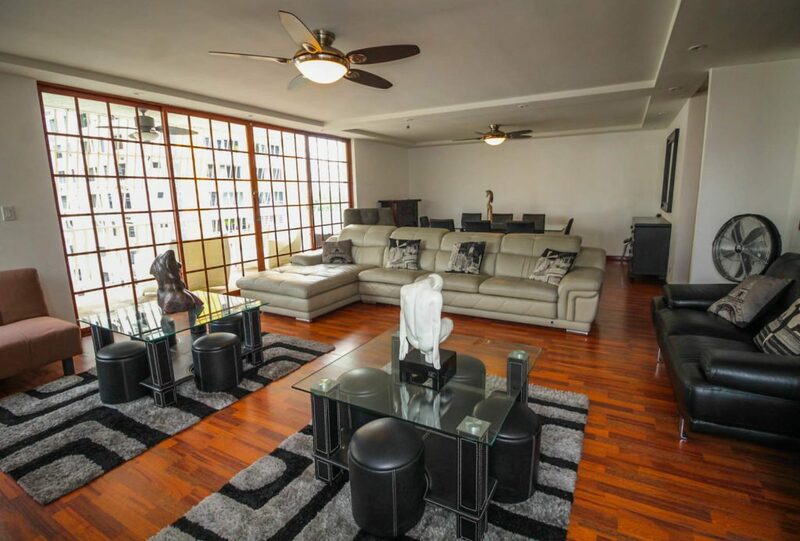 Perched at the top of Luxor Tower, this spacious unit is the perfect El Cangrejo home. Gorgeous hardwood built-in cabinets, a spacious living-dining area, and a unique bar and wine cellar are just some of the special features of this apartment. The large kitchen includes top-of-the-line appliances and granite countertops with maid’s quarters just adjacent. Each of the three bedrooms feature upgraded en-suite bathrooms, and the master bathroom has double sinks and a jacuzzi tub with a view of the city below. You may never want to leave the comfort of your own luxury penthouse, but if you do, Luxor 100 includes plenty of amenities. From an air-conditioned gym to a game room and a large swimming pool, there is plenty on offer without ever leaving the building. These are just a few of the units on the market now in El Cangrejo, but they provide a taste of the diversity of options and incredible value of homes to be had in the area. If you haven’t spent much time in El Cangrejo, we recommend you head over on a morning stroll and lunch at one of the dozens of great restaurants. Once you fall in love with the neighborhood, you’ll know where to look to find your perfect home. Want to learn more about El Cangrejo, then download our free guide!